Folks, our passion is Teaching SCUBA! At Louisbourg Scuba Services, it is our goal to bring you the best possible diver training with our first class instructor Harvey Morash, both at the recreational and the technical diving levels. Because excellence in diving is our focus, this allows us to take our time to refine your skills at each level, while still offering each class at a reasonable price. All of our courses are based around keeping classes small, thus, enabling the detailed attention necessary to mastering and improving your skill set. Our focus is all-encompassing, and at each level we will cover such topics as fundamental in-water skills, gear, physics and physiology, team and environmental awareness. Want to see what some of our previous students thought about their training at Louisbourg Scuba Services? Click here for some student testimonials! The way we dive and the way we teach diving follows a holistic and team oriented philosophy. First and foremost, we are all about having a good time, both in the classroom and at the dive site. Our instructor, Harvey Morash's teaching style is laid back, while maintaining high standards in skill performance. As you will discover during your training, our classes tend to be longer compared to most other offerings: and we firmly believe that a student should be given the time to practice new skills during the course rather than just being shown how to do it, because after all the ocean does not care what piece of plastic is in our pocket, being competent, and safe are what brings us home and allows us to relax and enjoy our dives. By allowing this extra time, students are more prepared to pass the course on the first try rather than having to re-attempt multiple times. We also believe that this will allow the student to be more competent, relaxed, and confident, which translates into you having much more fun on your dives, which is what we all want out of our diving isn't it? We truly love to go out diving for fun and to practice the types of dives we teach for fun: while a pool or beach may be a great place to learn basic skills, nothing beats the thrill of seeing that first wreck site or first school of fish. That's why you'll be doing dives in a real-world environment at all levels of dive instruction. A word regarding prices: Louisbourg Scuba Services' prices are not the lowest prices that you can find, nor are they outrageously higher than the general market. We do not cut corners to make our teaching life easier and we take the time to make sure that you are a competent diver when you graduate. Our graduates are somebody that we would like to dive with, or allow our children to dive with. 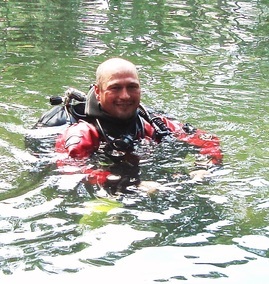 If you are interested in price alone then our classes may not be for you, but if you are looking to enjoy quality training and learn what you need to know to dive safely and with confidence then contact me today to discuss your next move.